This entry was posted in Hungary and tagged illiberal democracy, Janos Ader, legislative veto, presidential activism, veto power, Viktor Orbán on March 15, 2018 by Philipp Köker. ‘Veto et Peto: Patterns of Presidential Activism in Central and Eastern Europe’ (UCL, 2015). You can download the full thesis from UCL Discovery here. The presidents of the new democracies that emerged in Central and Eastern Europe (CEE) after 1989 have been subject to a great number of studies. Thereby, political scientists have often focussed on presidents’ powers – be it to enhance or develop classifications of regime types, or to study their impact on democratic consolidation or economic development. However, comparatively little has so far been written on how president actually use the varying powers at their disposal. Therefore, the aim of my study was to map patterns of presidential activism – defined as the discretionary use of formal powers by the president – and explain why and when presidents decide to become active. Directly elected presidents are more active than indirectly elected presidents. Presidents are most active during cohabitation, least often when relations with the government are unified. Presidents are more active when parliamentary fragmentation is high. Presidents are more active when the government’s seat share is small. Presidents are more active if their party’s seat share in the assembly is small (or if they have no parliamentary support base). It is clear that research design, case selection, and the quality of data matters greatly in arriving at meaningful and reliable conclusions. In order to both achieve generalisable results and gain in-depth insights into the practice of presidential activism, I employed a nested analysis framework which combined large-N statistical analyses with qualitative case studies. The presidencies of CEE presented a particularly suitable set of cases for this type of comparative analysis for several reasons . First, the regions boasts a mix of directly and indirectly elected presidents with varying degrees of power. Second, the new democracies in CEE were not only created during the same and comparatively short period of time, but also faced analogous domestic and external pressures during democratic transition. Last, as previous studies usually had to rely on proxies to measure presidential activism, I created an original cross-section time-series data set on the use of presidents’ legislative powers – vetoes, judicial review requests, and legislative initiatives – in CEE between 1990 and 2010 for my statistical analysis. For my case studies, I conducted 65 semi-structured interviews with high-ranking presidential advisors, (former) government members and MPs, and a number of national experts. In order to analyse my data on presidential activism, I used both negative binomial and event history regression models. For the sake of simplicity I only show some descriptive statistics on the use of presidential vetoes here. My regression models generally confirmed the majority of my hypotheses, particularly with regard to presidential vetoes – the most prominent and most frequently used presidential power. In line with the table below, my model results showed that presidents used their veto power significantly more often than indirectly elected presidents. Furthermore, presidents were more active during neutral relations with the government and cohabitation and the effects of the governmental and presidential seat shares, too, showed the expected effects. Echoing findings from the study of presidential veto use in the United States, president also vetoed more frequently the more bills were passed by parliament. Contrary to my expectations, however, coefficients for parliamentary fragmentation did not reach statistical significance. The statistical analyses of presidents’ use of judicial review requests and legislative initiatives unfortunately brought less striking results. This can mostly be attributed to the fact that they are only relatively rarely used or only few presidents have the right to use them which complicated statistical modelling. Nonetheless, the results for presidential vetoes provided a sufficient basis for proceeding with so-called ‘model-testing small-N analysis’ – a second step in the nested analysis approach that is aimed at verifying the results of the quantitative analysis, further testing the robustness of the model, and illustrating the causal mechanisms at work. Based on the predictions of the statistical models of presidential vetoes, I selected 12 president-cabinet pairings in four countries (Estonia, Hungary, Poland and Slovakia) for qualitative analysis. The guiding principle of the selection of countries (two directly, two indirectly elected presidents; two powerful, two weak presidents) as well as the the selection of president-cabinet pairings was to achieve a well-balanced mix of cases for in-depth analysis. Due to the results of the statistical models, the case studies focussed on presidential vetoes and the degree to which the factors included in my statistical models could explain instances (or the lack) of the use of vetoes. They also included a section on presidential activism in government formation which – given the lack of appropriate data – could not be adequately analysed statistically and was intentionally left for the qualitative part. The in-depth analysis of presidential activism, which was greatly facilitated by the insights gained through interviews with those involved, generally confirmed my hypotheses and provided strong evidence that the hypothesised mechanisms actually insist. In particular, the mode of presidential election emerged as one of, if not the most important factor in explaining presidential activism. The popular mandate gained through direct elections gave presidents significantly more freedom in their actions but also required them to be more active to ensure their re-election – this was not only confirmed through my interviews with presidential aides but also evidenced by a number of presidents’ public statements. Indirectly elected presidents on the other hand acknowledged their dependence on parliament and therefore used their powers less often as not to interfere in the work of their principal. The relationship between president and government as well as the government’s strength in parliament were equally shown to be key determinants in presidents’ decisions to use their powers. Yet the qualitative also demonstrated that the size of presidents’ support base in parliament only becomes relevant when their party participates in government or when high thresholds are needed to override a veto. In addition, the qualitative analysis suggested an additional explanatory factor for presidential activism not included in my theoretical and statistical models – divisions within and between government parties provided additional opportunities for activism and could explain vetoes under otherwise unfavourable conditions. Last, my (albeit brief) analysis of presidential activism in government formation, censure and dismissal called for re-thinking the use of non-partisan cabinet ministers as a proxy for presidential involvement. Not only were non-partisans often appointed without presidential involvement but presidents were also very actively involved in placing co-partisans in the cabinet. Comparative work on the actual use of presidential powers – particularly in European political systems – is still rare. My study could provide one of the first large-scale studies of presidential activism in these systems and thereby confirm a number of assumption which could previously only insufficiently be tested. The nested analysis approach furthermore ensured a better understanding of both statistical results and qualitative findings which will help to inform future studies and further theory development. My study however only produced limited evidence on the influence of factors related to presidents as individual (‘president-centred’ factors) – a group of factors particularly prominent in the case study literature on European presidents. While it appeared that these variables certainly have the potential to enhance the understanding and explanation of presidential activism, more research based on strong theory is needed to further examine their effect. In addition, it would seem sensible to analyse the use of presidential vetoes using data on individual bills which would allow to take those factors that could not be adequately addressed in the statistical models used in this study into account. Tavits, Margit. 2008. Presidents with Prime Ministers: Do direct elections matter?. Oxford/New York: Oxford University Press. The full study can be downloaded from UCL Discovery by clicking here. 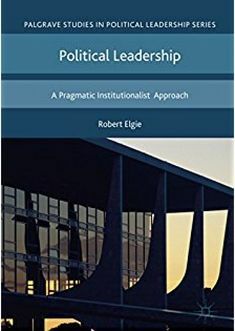 If you are interested in the interviews I conducted with presidential advisors (and other political elites), a paper on these appeared last year in SAGE Research Methods Cases and will soon also be adapted as a video for SAGE‘s new teaching collection. I defined CEE as those countries that joined the EU in 2004/2007, i.e. Bulgaria, Czech Republic, Estonia, Hungary, Latvia, Lithuania, Poland, Romania, Slovakia and Slovenia. Due to the fact that the Slovenian presidency does not possess any legislative powers, it was excluded from this study. This entry was posted in Estonia, Europe, Hungary, Indirectly elected presidents, Poland, Semi-presidentialism, Slovakia and tagged government formation, presidential activism, presidential veto, veto power on April 15, 2015 by Philipp Köker. Serbia – Will the outcome of the snap election affect intra-executive politics? A snap general election was held in Serbia on March 16th. President Nikolic’s Serbian Progressive Party obtained a strong parliament majority and its current leader, Aleksandar Vucic, is sure to secure the prime minister position. The snap election could also affect the intra-executive relation between the president and the new prime minister, due to the latter’s extensive authority over the government and ruling party. The snap election was called by the Progressive Party, less than two years after the last general election held in July 2012. The SNS-led coalition topped the polls in 2012 and obtained 73 seats in the 250-seat parliament. However, the prime minister position went to Ivica Dacic, the leader of the Socialist Party. With 44 seats in the parliament, SPS emerged as the kingmaker of the election, as plans for a Grand Coalition between the Progressives and Boris Tadic’s Democratic Party holding 67 seats in the parliament fell through. What followed was a year of political speculation about the timing of the next snap election that would allow the SNS to improve its parliamentary support and to secure the prime minister position. In the meantime, Aleksandar Vucic, the SNS deputy PM and Ivica Dacic’s main challenger for the prime ministership, strengthened his position within the cabinet and his party. Due to a very active anti-corruption campaign, which drew wide public support and weakened his political opponents, Vucic emerged as the most powerful and popular minister in the Serbian cabinet. The Progressives were also able to capitalize on the government’s popularity, which increased as a result of the successful conclusion of the Serbia-Kosovo agreement, the organisation of local elections in Northern Kosovo in November 2013, and the official start of EU accession talks in January 2014. There are concerns that Aleksandar Vucic, who does not necessarily have to share power in a coalition government, might use his party’s outright parliamentary majority to strengthen his personal hold over the society. Moreover, his tight grip over the Progressive Party could also reduce the president’s influence over the political system. Although the presidency enjoys few constitutional powers, Serbian presidents have maintained a relatively high profile in national politics. One reason for their influence over the political system is related to the authority they have preserved over their former parties. For example, under the leadership of Boris Tadic, the Democratic Party succeeded to win both presidential and parliamentary elections in 2004 and returned to power following the 2007 and 2008 general elections. In 2012, Tadic resigned as head of state ten months before the end of his term so that concurrent presidential and parliamentary elections would allow the Democrats to capitalize on his coattails. His defeat in the presidential run-off by Tomislav Nikolić, the SNS candidate, played an important role in the Socialist Party’s decision to drop their coalition with the Democrats in favour of a coalition with Nikolic’s Progressives. Tomislav Nikolic contested the 2012 presidential contest as a de facto leader of the Progressive Party, which broke away from the Serbian Radical Party in 2008 under his leadership. However, he is unlikely to preserve his authority over the party in the face of Aleksandar Vucic, who succeeded him as party president. Vucic ran unopposed for the leadership position in September 2012. To strengthen his legitimacy as a de facto party leader, he was unanimously reconfirmed as party president at a special conference convened in January 2014, where the decision to bring forward the general election was also taken. Although President Nikolic expressed his support for early elections and endorsed Vucic as future prime minister, they are known as long-lasting political rivals. To prevent the emergence of party divisions and limit presidential influence on intra-party politics, Vucic also used the 2014 party convention to remove the president’s supporters from the party leadership. Overall, we can expect the results of the 2014 snap election to have an impact on intra-executive politics and reduce the president’s role to its strict constitutional responsibilities. However, the actual relation between the president and the prime minister will depend on the type of cabinet that Aleksandar Vucic will form and on whether the political rivalry between the two political actors will translate into an increased level of presidential activism and/or intra-executive conflict. This entry was posted in Europe, Serbia and tagged Aleksandar Vucic, intra-executive politics, intra-party politics, party leadership, President Nikolic, presidential activism on March 20, 2014 by Cristina Bucur. In recent months the Civic Platform (PO) of Prime Minister Tusk has experienced a number of defections so that the majority of the coalition government with the Peasants’ Party (PSL) in the 460-deputy Sejm is now reduced to just 232 (for an analysis of these see Aleks Szczerbiak’s Polish Politics Blog). Decreasing parliamentary majorities are nothing unusual for Polish governments but they make governments vulnerable, not least to presidential activism. Until Tusk’s election victory in 2007 and subsequent re-election in 2011, no Polish government had survived a whole legislative period (in fact, the average cabinet duration was 12 months, and no cabinet was in office longer than 2.5 years). Governments either suffered from mass defections  or lost their coalitions partner which also meant losing the majority in parliament. While the remaining parties in government could usually still count on the support of some defectors or their former coalition partners to pass legislation, the fact that presidential vetoes can only be overridden with a relative 3/5 majority (2/3 before 1997) put governments into the mercy of the head of state. In the past, presidential activism usually increased when the government’s majority decreased. This is best exemplified by the governments of Jerzy Buzek. During the coalition of Buzek’s ‘Electoral Action Solidarity’ (AWS) with the ‘Freedom Union’ (UW) [12/1997-06/2000], the government disposed of 56% of seats in the assembly and President Kwaśwnieski vetoed 0.44 bills per month. However, when the UW left the coalition Buzek’s new cabinet [06/2000-10/2001] held only 40% in parliament. As defections continued, the president vetoed more frequently and now issued 1.2 vetoes per month. Yet as relations between president and government were cohabitational at the time, this case does not allow for drawing inferences about the current situation. More applicable in this respect are the governments under Jerzy Miller and Marek Belka between 2001 and 2005 who – like president Kwaśwnieski – belonged to the ‘Democratic Left Alliance (SLD). As could be expected, president Kwaśwnieski used his formal powers only infrequently. Nevertheless, after the SLD lost the PSL as coalition partner in early 2003 (and thus also the majority in the Sejm) informal pressure on the government mounted. The president could exert sizeable influence over government policy-making as the government would not have been able to oppose his vetoes (even with support of its former coalition partner and other government-‘friendly’ deputies). The president’s high public approval compared to the government’s lack of public support further increased this imbalance of power and amongst others allowed Kwaśwnieski to push through Belka as Miller’s successor in 2004. While examples from Poland’s recent political history can illustrate the problems now faced by the government of Prime Minister Tusk, his situation is different in so far as this time the majority is not in danger due to the loss of a coalition partner. In most votes, Tusk can also still rely on the deputies of ‘Your Movement’ (‘Twój Ruch’/TK – previously ‘Ruch Palikota’/Palikot Movement) but these are not enough to overturn a presidential veto. The remaining groups are also unlikely to come to the government’s rescue. Furthermore, president Komorowski’s approval ratings are at an all-time high while the government has continuously lost support since its re-election in October 2011. The president should have no interest to sabotage the government’s agenda and has held back with regard to domestic political debates (he has only vetoed 2 bills so far and none of them in the current legislative term). Nevertheless, the recent remarks about the president’s opposition to parts of the government’s overhaul of the pension system by one of his advisors might be evidence of Komorowski’s attempts to exploit the government’s vulnerability and influence policy decisions already in the drafting stages. The seat share of Hannah Suchocka’ government (7/1992-10/1993) dropped from 40% to 16% within just fourteen months. This entry was posted in Europe, Poland and tagged Europe, majority government, Poland, presidential activism, presidential veto on October 16, 2013 by Philipp Köker.